Ladies-- Come "Sip, Savor, and Drink Deeply"! 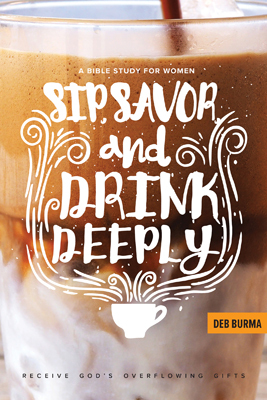 Our Thursday morning Women's Bible Study is about to begin a new study on the book, "Sip, Savor, and Drink Deeply: Receive God's Overflowing Gifts" by Deb Burma. What is "Sip, Savor, and Drink Deeply" About? It's about taking a break from the daily grind. We are blessed to have a group of women of all ages who come together for fellowship, prayer, and Bible study every Thursday morning from 9:00 - 10:30 a.m. (in the church basement). We start by spending time in prayer, going around the table and each taking a turn thanking God or asking His help and care for any particular concerns or needs we may have. Then we make our way through a Bible study book-- this time, "Sip, Savor, and Drink Deeply"-- that enables us to be refreshed and strengthened by God's Word. We have young women and slightly older women. Some bring their babies and toddlers, but all are blessed by this time. And you are welcome!